Sailor suits for baby boys make a strong statement. Sailor outfits have a traditional touch with a taste of modern flair. This combination of both old and new appeal makes it a fashion item unlikely to go out of style. Sailor suits for children are based on the clothing that sailors used to wear. This means that the collar of the shirt or jacket has an apron or yoke collar around the neck, and there is often a color contrast stripe or pattern on this part of the garment. Since traditional sailors used to wear a handkerchief tied around their necks, sailor suits usually have a type of sash or scarf that is tied in the front of the chest, underneath the apron collar. Boys' suits most often have a knot with the two sides hanging down, while girls' sailor suits usually have a bow. Sailor suits are a combination of childhood charm and grown-up sophistication. Long before children wore tuxedos, sailor outfits were a nice way to dress a child up for a special occasion. Sailor suits are particularly popular during the summer months. While some sailor outfits have long pants and a jacket with long sleeves, sets with shorts are even more common; this dates back to the time when boys wore short pants until they reached a certain age. While a pant suit with a captain's jacket creates a very dressy, almost tuxedo-like look, a short set with a sash and apron creates a cute look for younger boys. While you might get lucky and find the perfect sailor outfit for your son at a local shop, there is a wide selection of sizes, styles and colors available online. These online offerings are not only easy to find and very versatile, but they are also competitively priced. Many shops online offer the same brands of sailor suits, which means that they have to compete with one another in terms of price and shipping costs in order to stay in business. In Fashion Kids: Featuring several different sailor suits for baby boys, In Fashion Kids has good prices and a wide variety of clothing for both girls and boys. Choose from several shorts sets with matching hats, all of which are in the navy blue and white traditional sailor suit color scheme. Some sets have multiple pieces (separate shorts, shirt and jacket), while other suits are a single piece that incorporates both the top and the shorts. This shop's suits are arguably some of the best values on the Internet. Best Dressed Tot: Traditional navy blue and white short sets can be purchased on this site. In addition, a few mainstream suits are offered. For example, you can find a comfortable cotton romper set in baby blue, as well as a set that is made up of a pair of pants, a shirt and a sweater vest. Choosing one of these less traditional sailor suit options creates a distinctively sailor-like look, without being the quintessential sailor suit seen so often. Boys Suits and Tuxedos: This webshop's collection of sailor suits is adorable and affordable. While not all suits are available in baby sizes, the suits that are made in the smallest sizes will look stunning on your baby boy. Choose from long pants with a captain's jacket, or a fun short set with a navy blue sash. For the ultimate in comfort, choose the baby set that includes a footed sleeper, as well as a onesie, pants and accessories. 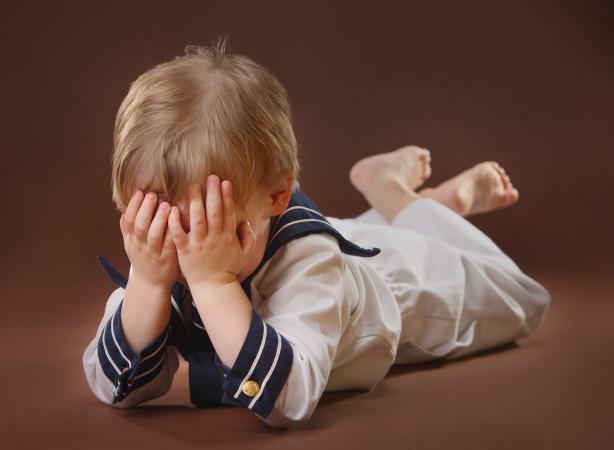 Make a fun family picture by dressing all of the kids in sailor suits before a photo session. For special days like Easter and weddings, sailor outfits are a nice way to dress up baby boys without making them look overdressed. In addition to being exceedingly cute, some sailor suits are very comfortable (go for all-cotton models), which means that your baby or toddler will be less cranky, allowing you to enjoy the special occasion. Whether your little sailors are going to a picnic or are acting as ring bearer and flower girl in a wedding, sailor suits for girls and boys are cute and classic clothing.